Have I mentioned that I love Fall? We’re still knee-deep in the hot summer heat here in North Carolina and we don’t really get a true Fall with colorful leaves and cool crisp weather. That’s one thing that I miss about living in an area of the country that gets all 4 seasons. We usually make a trip up to the mountains every Fall just so I can get my fix of apple cider donuts and gorgeous Fall scenery. 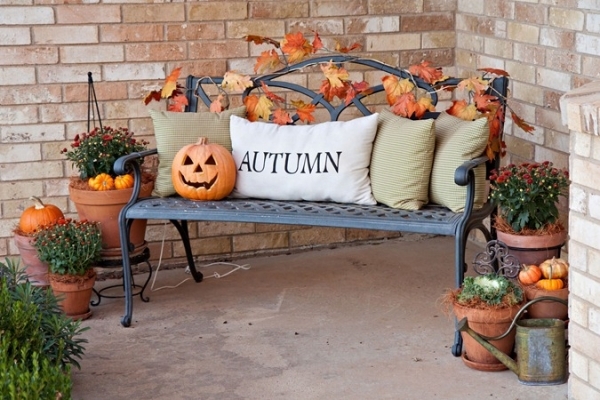 I’ve got 10 Fabulous Fall Decor Ideas to share with you today so you can get your home ready for Fall. You can just smell the pumpkin pie, cinnamon and freshly fallen leaves! 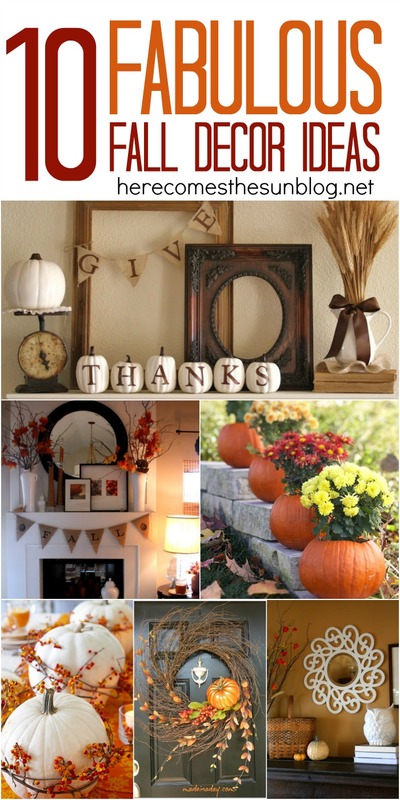 Enjoy the season and have fun decorating! Thanks for joining the CHQ Blog Hop last week! We hope you’ve found some fun new blogs to follow!! Kelly! I had not even seen this feature!! Thank you SO much for featuring my mantel! YEY! !